The city of Chang'an, modern day Xi'an, shone as the capital of the ­il­lustrious Tang Dynasty (618-907), while to the east, Luoyang, was the seat of power for Western Han Dynasty (206BC-AD25). Along the Yangtze River, Nanjing, the "Southern Capital," preceded Beijing as the capital of the Ming Dynasty (1368-1644) and was later the capital of the Republic of China (1912-49). They have somewhat different atmospheres, but all are intriguing places to visit, boasting a multitude of famous landmarks, historic places and UNESCO World Heritage Sites. Moving on to Shaanxi Province, Xi'an is probably the most famous one among the ancient capitals due to its timeless terracotta warriors that were buried in the grave of Emperor Qin Shi Huang, China's first emperor, as an imperial guard for him in the after-life. The terracotta warriors, as well as chariots and horses, are a fascinating sight, but that's not all Xi'an has to offer. 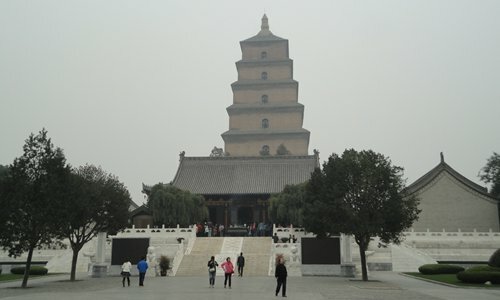 As the capital of the Tang Dynasty and one end of the Silk Road during the route's height, Xi'an flourished as a cosmopolitan center full of people of different cultures, races and faiths. One significant reminder of this is the city's Muslim Quarter, a neighborhood filled with stores, Islamic restaurants and mosques located just by the Drum and Bell towers. At night, the alleyways are filled with tourists and vendors, and it is a great place to go for food like naan bread or paomo (soup with pieces of bread eaten along with beef or lamb). Built in the 8th century, the Great Mosque may not quite live up to its name, but it is unique. Its buildings, like the prayer hall, are designed so that rather than the usual round domes and towers of most mosques, they resemble Chinese temples but with Arabic script on its steles and walls. Built to house Buddha artifacts brought back by the legendary Buddhist monk Xuanzang after his journey to India, the Big Goose Pagoda is a multi-storey earth-colored tower that was built in the mid-7th century, making it over 1,350 years old. You can still enter and ascend the pagoda, which is set inside a garden complex, and enjoy a nice bird's eye view of the surroundings. Not too far from it is the Shaanxi Provincial Museum that has a fine collection of artifacts, among which a collection of terracotta soldiers and horses is a highlight. The main body of terracotta soldiers lies in a large site a little distance out of the main city. Like Nanjing, Xi'an also has impressive surviving city walls, but they go one step further and actually surround the central core of the city. With the walls 12 meters high and 14 kilometers in length, it is a long walk of over two hours if you want to make a complete circuit on top of its walls and visit its gates and battlements. To the east of Xi'an, in neighboring Henan Province, Luoyang is the least remarkable as it is just a provincial city, but its history is just as illustrious. 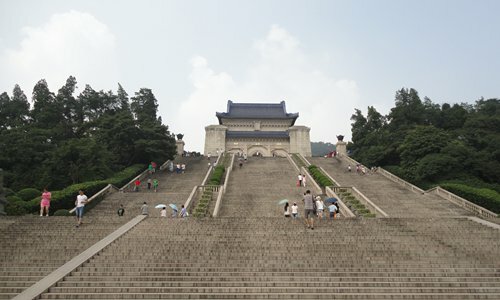 It first served as the capital during the Eastern Zhou Dynasty (770BC-256BC) from 510BC-314BC, then the Eastern Han ­Dynasty (25-220) in AD25 and was the capital of the Kingdom of Wei during the famed Three Kingdoms (220-280) period. It was also the capital of the later Western Jin (265-316) and Northern Wei (386-534) dynasties. During the Tang Dynasty, Luoyang was the Eastern Capital, second only to the imperial capital Xi'an. All of this might make your head spin, one can simply consider that around 1,800-2,000 years ago, Luoyang was pretty much the center of China. 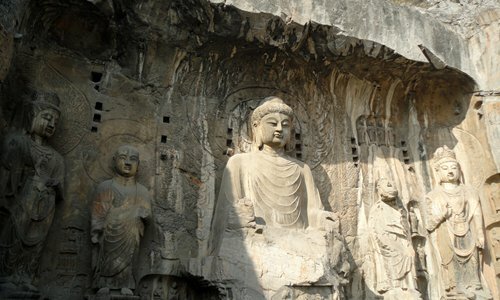 But while most of its ancient ­buildings have long since gone, there is still the ­Longmen Grottoes, a World Heritage Site and one of China's three most famous grottoes. Situated on the northern bank of the ­placid Yi River, the grottoes feature thousands of Buddhist carvings etched into the cliff walls and caves. The first of these were first made in 493 and range from giant 17-meter high statues to human-sized ones to tiny Buddhas smaller than your hand. The grottoes are almost one kilometer in length and some of the carvings are located higher up on the cliff face, so allocate at least two hours to visit here, if not more. When you have finished with the north side, cross the river to finish up with temples, including the 1,500-year-old Xiangshan Temple, and steles, as well as a more modern historical site. This would be a villa in which ROC leader Chiang Kai-shek once stayed at in 1936 to celebrate his 50th birthday. Luo­yang's old town is guarded by a formidable gate and stone towers. Besides wandering the alleyways and looking at stores, it is a good place to try the city's famous Shuixi ­water banquet dishes, which hark back to the Sui Dynasty (581-618). 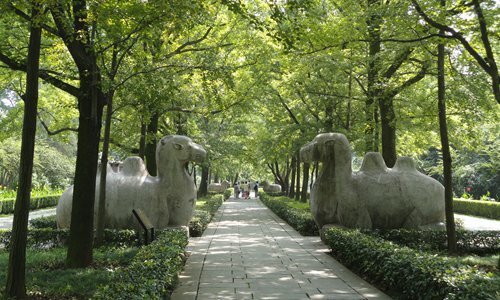 Luoyang also has an interesting history museum, the highlights of which are large Tang Dynasty Tangsancai tri-­colored glazed ceramic horses and camels as well as artifacts from as far back as the Xia Dynasty (2070-1600BC). Further to the east of Luoyang lies Shaolin Temple, which has inspired numerous kungfu movies about the temple's fighting monks. The temple has capitalized on its fame, so much so that you will see monks selling tickets and souvenirs within the grounds. You can view performances by the monks at set times, but for me, the most remarkable sight was seeing hundreds of young monks massed on a field practicing punches and kicks in the afternoon. It is possible to feel overwhelmed by the commercialism and noisiness in the temple, but one can also visit the nearby Song Mountain by cable car. So just know that ­Beijing, as mighty as it is, is not the be-all end-all of Chinese imperial history and give these other ­cities a visit.